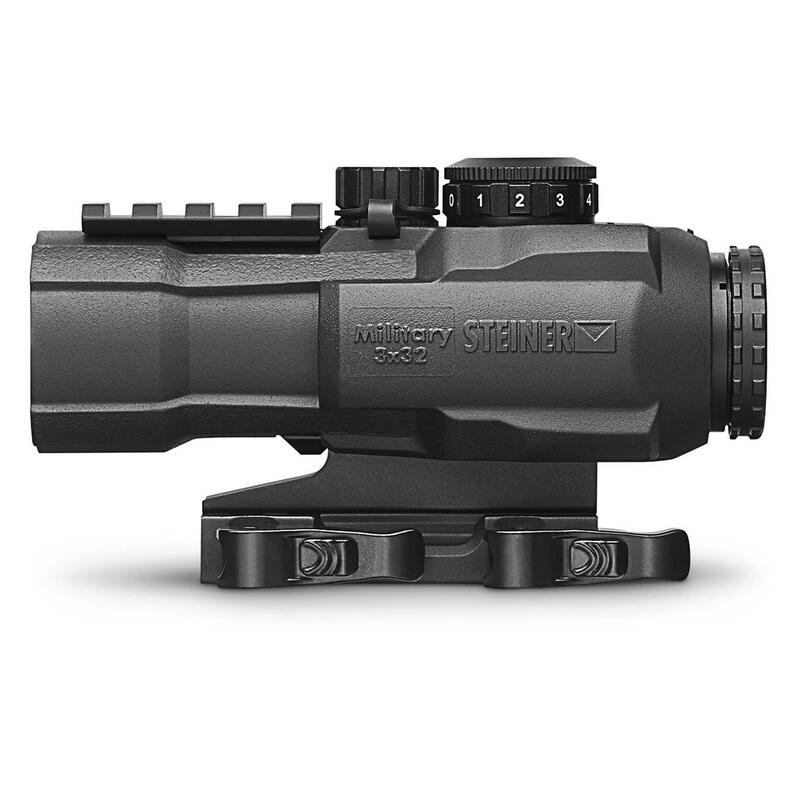 Give yourself an unfair advantage with the spot-on accuracy and fast target acquisition of the Steiner® M332 3x32mm Prism Sight Rifle Scope. 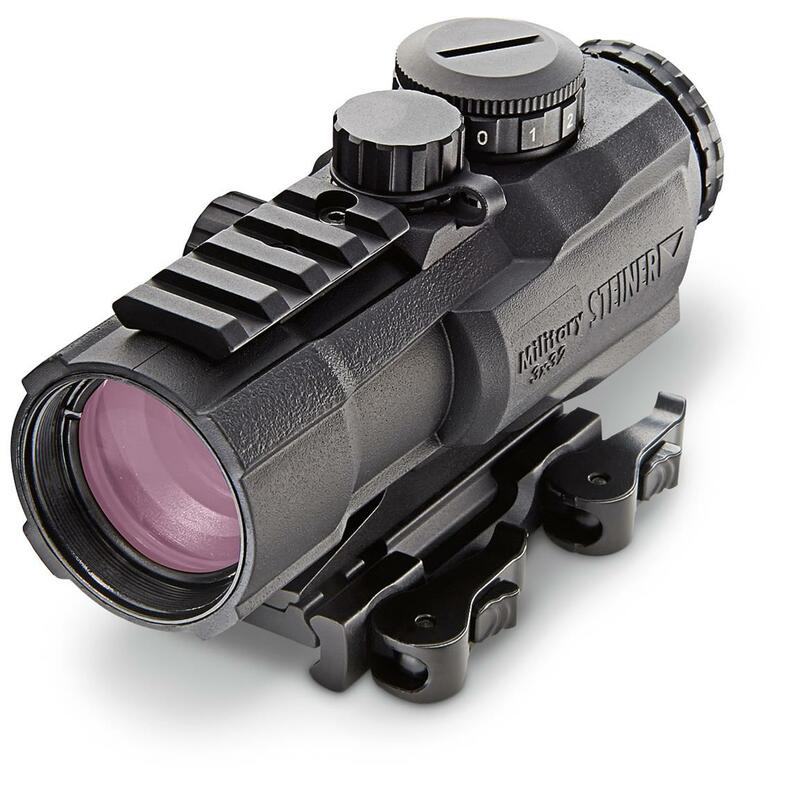 Lean, mean and effective in all light conditions, the M332 with 5.56 reticle is the perfect match for your CQB or patrol rifle. 3X magnification puts round on target out to 700 meters, while the oversized 32mm objective lens drinks up light for clear, bright images.